Carlos Coleman better known as that rapper, King Los, tells us, "don't trip … been gone two years, wonder where Los is" and yeah, we have ..
Hopsin put everyone in his sights with his fierce video for "The Purge"
Marcus Jamal Hopson, better known as Hopsin, is one of the most consistent rappers in the game. Yes, that’s a bold statement, but it’s .. 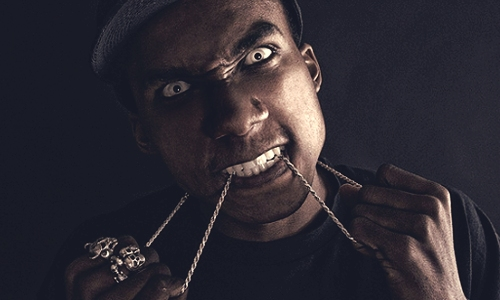 When Hopsin dropped the video for "Ill Mind of Hopsin 4" he erupted on a National level, leading to an election to the 2012 XXL Freshman Class. ..
Hopsin poked his head into the game in 2011 and has been quiet ever since. He gained a lot of fans and respect over his ability to cook any rapper ..
Tech N9ne teamed up with Hopsin and B.o.B. for the track "Am I A Psycho" which was featured on his 2011 album entitled All 6's and 7's. And now they ..
Hopsin, a Los Angeles native, has often been featured and affiliated with the West Coast rapper, Tech N9ne because of his smooth and impeccable ..